Trump's covfefe typo has revealed a systematic practice of corporate media's ability to blind Americans to reality. Welcome to the age 'distract and conquer,' where Americans praise their own enslavement and demise. If you turn on the television or log on to the internet today, you will be bombarded with the non-news of President Donald Trump tweeting out a typo in which he used the arrangement of characters, ‘covfefe’. The mainstream media picked up this covfefe Tweet and began shoving it down the collective throats of Americans, literally instantly. CNN, the NY Times, WaPo, USA Today, the Telegraph, the Guardian, NPR, and virtually every other mainstream media outlet in the world jumped on the bandwagon of non-news covfefe fluff and filled the airways with this inane blither. While there are plenty of reasons to call out Donald Trump, covfefe, a random typo in the middle of the night is hardly newsworthy. However, it does serve as a remarkable distraction from the very real and very deadly US airstrikes in the Middle East. Last week, while the media pushed distractions over Trump’s rantings out on the airways, a Pentagon investigation admitted that more than 100 civilians had been killed in a US airstrike in Iraq in March, but largely placed the blame on IS. Following that admission, at least 35 civilians were killed, most of whom were women and children in Syria last Thursday. Before that, in mid-May, US airstrikes murdered nearly two dozen farm workers – mostly women – in a village in eastern Raqqa, as well as at least 59 civilians in residential areas of Deir al-Zor. Yesterday, the Intercept reported that entire families, including infants, were ‘massacred’ by the US-led coalition against ISIS in Iraq and Syria. 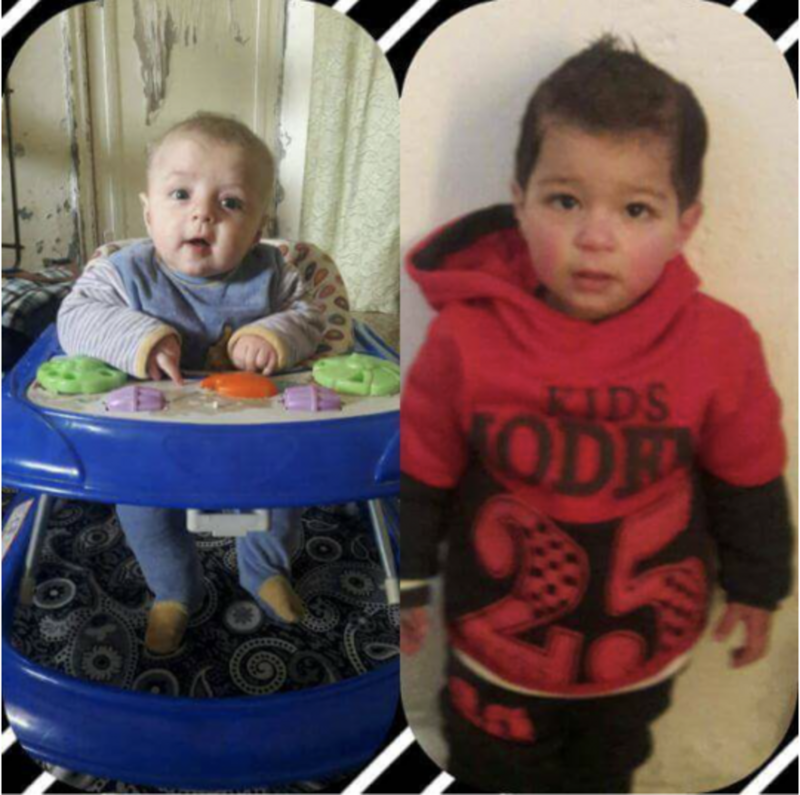 Photos shared on social media showed 6-month-old Abdul Salam al-Aish and 3-year-old Ali al-Aish, who were killed in a U.S. airstrike near the town of Tabqa. The strike that massacred this innocent family was one of thousands. As RT reports, figures show that a total of 14,192 rockets, bombs, and other munitions were dropped in the first four months of 2017, up from 9,442 during the same period in 2016. While these strikes are being touted as a means of ‘wiping ISIS off the face of the planet,’ the US government and the West, in general, is ignoring the fact that they are slaughtering innocent civilians. Does anyone really believe that a mother or father who watches a US bomb blow their innocent 3-year-old son to a fine red mist will think that this is okay because it is in the name of ‘fighting terrorism’? Sadly, the heavily sedated masses, content with the day’s talking points handed down to them by the mainstream media, are mostly unaware and in entire acceptance of this foreign policy. Murdering someone’s child creates a ‘terrorist’ out of every single person related to that child. When will people wake up to this fact? Sadly, corporate media’s complete lack of coverage on the reality of ‘collateral damage’ has fostered a society who is okay with civilian casualties. Through slick reporting and dehumanizing spin, the thousands of innocent children blown to bits by US bombs are written off as little more than a statistic in the war on terror. If a single image of dead children was allowed a platform on the mainstream media, this madness would likely be over rather quickly. Indeed, we have seen this happen before with the famous photo of Kim Phuc — aka napalm girl. The Pulitzer Prize-winning photo showed the world the reality that is occupation and war. This photo — a single reminder of the brutal nature of war — ultimately brought it to an end. The AP photographer Huynh Cong “Nick” Ut, who snapped the shot, explained in an interview how soldiers would thank him for his photo. “It changed the war. I met so many American soldiers who said ‘Nicky because of your picture I’ll get to go home early,’” he said. Sadly, this very real and very necessary coverage is entirely absent from the mainstream today — and not by accident. Showing photos of the destruction and death from US bombs will get your advertising pulled by Google. If you post these photos to Facebook, your account will be suspended. The truth, in modern day America, is becoming extinct and people are accepting it. The reality of war is death. The reality of war is destruction. To deny these facts is to deny reality itself. It is because of these facts that war should be the absolute last resort of any government. In America, however — thanks to the military industrial complex — it is the first. As Americans bicker over Trump’s covfefe typos on Twitter, he’s signing a deal worth hundreds of billions of dollars with the largest state sponsor of terror in the world — ensuring decades of future wars and the continuation of the cycle of terrorism. As Americans argue over irrelevant partisan nonsense, beat into their minds by corporate media, they are losing jobs, their money is becoming worthless, their tax dollars are being used to fund and support ISIS, and their freedoms are being sold to fund the police state. We are quite literally building our own prison as Americans wave flags in the street supporting this madness. Everyone reading this right now has the power to stop this insanity and it’s in the palm of your hand or on the screen in front of you. Information is the key to freedom and standing up for the dissemination of that information is how we maintain that freedom. “It’s not enough to believe that something’s wrong,” Snowden attested. “It’s not enough to disagree with it. It’s not enough to think that things could be better.